A Paleo diet can help you increase your fertility, but after conception comes a whole new set of diet questions and problems. From coping with bizarre cravings to choosing from the huge variety of prenatal supplements to interpreting the increasingly massive amount of literature on fish and mercury, gestational nutrition is a rollercoaster. In some ways, even conventional doctors support a more Paleo-style diet during pregnancy – for example, they often recommend women to eat more red meat, to avoid iron deficiency. On the other hand, they also commonly advise a diet high in whole grains, which won’t do anything to support a healthy mother or baby. Sifting through the immense amount of information on pregnancy nutrition would be a daunting challenge for anyone – much less a woman fighting through the exhaustion and morning sickness of her first trimester. But a solid nutritional foundation is well worth the effort: a nutritious diet before and during these 9 months will support a woman through the physical challenges of pregnancy and birth, and set her baby up for a lifetime of good health. The most important element of good nutrition for pregnant women – just like for everyone else – is a diet of micronutrient-dense whole foods. No magic pill, supplement, or superfood can make up for a shaky foundation. Scientists are still debating what the healthiest pregnancy diet actually is, so even official recommendations are always subject to change. One study might suggest that extreme supplementation or restriction of some micronutrient is healthy, but the next week, this recommendation could be completely overturned. Thus, the safest and most moderate course is to eat a variety of whole foods: this doesn’t overload your body with anything it wasn’t designed to handle, so even if you don’t have perfectly optimal levels of every micronutrient in your diet, you won’t be in any danger. Particularly important nutrients for pregnancy include fat-soluble vitamins like D, A, and K2, iron, and B vitamins. Vitamin A has a bad reputation among pregnant women – many doctors even recommend avoiding or restricting it because of the risk of birth defects. However, when consumed from whole foods rather than artificial supplements, this danger is almost negligible: if you aren’t eating liver for breakfast, lunch, and dinner, there’s nothing to worry about. Vitamin A is important for a pregnant woman and her developing fetus, especially the lungs, kidneys, and nervous system, as well as the eyes. Thus, while extreme supplementation is never advisable, artificially restricting Vitamin A during pregnancy can lead to serious problems. Vitamin D is another crucial fat-soluble vitamin, especially in the third trimester. It helps the baby’s skeletal and immune systems develop properly, and recent research is also indicating benefits for the mother, such as a lower risk of pre-eclampsia. Vitamin D is so essential to prenatal development that if the mother doesn’t get enough for both, the growing fetus will rob her body of nutrients to get it. This is bad news for both mother and baby. Unfortunately, most people in the modern world (even on a Paleo diet) are seriously deficient in Vitamin D, because it doesn’t occur naturally in many foods – shockingly enough, even liver can’t give you everything! To make matters worse, doctors routinely recommend a much lower dose than their patients should probably be taking: the RDA is 200IU/day, but most people probably need much more than that, especially if they’re supporting a whole other human being as well as their own body. The best way to top up your Vitamin D levels is by absorbing it through sun exposure, but in the winter or if you have an indoor job, a Vitamin D supplement might be necessary. Eating a wide variety of high-quality animal products will give you plenty of two other very important nutrients, B vitamins and iron. B vitamins include B6, B9 (folate), and B12; these crucial micronutrients support proper neurological function, so they’re very important for a baby’s developing brain and nervous system. Folate in particular is necessary for DNA reproduction. Every new cell in your body contains a complete copy of your DNA, so folate supports the healthy development of new cells. Accordingly, deficiency of folate is associated with neurological birth defects. Another B vitamin, choline, is also important to neural development. Fortunately for Paleo mothers-to-be, meat and fish are two excellent sources of B vitamins, so getting enough shouldn’t be a problem. Eating plenty of meat and fish will also ensure that you get enough iron. Iron (found in red meat and some vegetables, although meat is by far the better source) is a very common deficiency in pregnant women. Iron deficiency is probably not as widespread on Paleo as it is in the general population, but it’s is still a potential risk even for women who eat plenty of animal products. Women who don’t get enough iron during pregnancy are at risk of developing a deficiency disease called anemia, which makes it harder for your body to fight off infections during pregnancy, and increases the risk of a premature delivery. Red meat and organ meats are excellent food sources of iron; you could also try cooking with cast-iron pans, which actually transfers some iron from the cookware to your food. Iron supplements are another option, but these can be very rough on the digestive system, so whole foods are usually preferable. Calcium is also important for pregnant women because it helps the baby’s skeleton develop normally. As with Vitamin D, if a woman doesn’t get enough in her diet, the fetus will take calcium from her bones, causing a much higher risk of osteoporosis later in life. Calcium is often a special concern for many people on Paleo because they think the only way to get it is through dairy. This is a misconception, as there are actually plenty of non-dairy sources of calcium. Dark leafy green vegetables like spinach and kale contain significant amounts, as does bone broth or bone-in fish like salmon and sardines. If you tolerate dairy well, it also has plenty, but it’s hardly the only way – there’s no reason to force it down if it makes you sick. As well as all of these healthy vitamins and minerals, you need to eat enough fat and cholesterol, so that your body can actually absorb them. Fortunately, many sources of healthy fats are also very nutrient-dense, so you can get both benefits from the same source. Pastured butter, eggs from free-range chickens, and bone marrow are three very nutrient-dense sources of fat and cholesterol – the butter contains vitamin K, the eggs have high levels of choline and other B vitamins, and bone marrow is highly prized by traditional cultures around the world for its nutrient content. Foods like liver pâté can bring out the best of both worlds: the fat in the butter helps you absorb the nutrients in the liver, and the delicious taste ensures that you’ll get plenty of both. Wild-caught seafood is also a smart choice: it contains the essential fatty acids EPA and DHA, as well as a healthy dose of selenium and iodine. If you can get it, fish roe (fish eggs) is a particularly nutritious kind of seafood included in many traditional “pregnancy diets.” Many doctors strictly caution pregnant women to avoid seafood, fearing that the mercury levels will be particularly toxic to the fetus. This is misguided, however: the selenium in these fish binds to the mercury, negating its toxic effects in almost all cases – it’s not at all unsafe to eat fish, and it’s very nutritionally beneficial to do so. As well as getting all the micronutrients you need, be aware that pregnancy probably isn’t the time to experiment with a very low carb diet. A moderate carb intake is actually very beneficial for fertility – and bland carbohydrates like potatoes and white rice can also be dietary lifesavers for women suffering from morning sickness or food aversions. They might not be the most nutrient-dense foods around, but sometimes bland carbs are all you can keep down, and Paleo-friendly starches are much better alternatives than the typically recommended saltine crackers or pretzels. If you do decide to continue with a very low carb plan, you should at least make an exception for the days leading up to an oral glucose tolerance test (OGTT). This is a test done to check for gestational diabetes: your doctor will give you a glucose tablet to take, and measure your blood sugar as your body responds to it. If you’ve been eating very low carb, your body won’t be ready for such a glucose bomb, and you’ll actually appear to be diabetic even though you aren’t. This can cause all kinds of problems, so it’s best avoided altogether: a few days before your OGTT, start introducing safe starches into your diet. It’s worth a few potatoes to avoid bombing the OGTT; you can go back to your low-carbing ways immediately afterward. Protein needs also change during pregnancy: pregnant women should limit their protein intake to no more than 20% of calories (and possibly even lower). A very tasty way to do this is to choose the fattiest cuts of meat, or to make up some protein calories with a slightly higher carbohydrate intake. Some women feel that they can get all the nutrients they need from whole foods – and they’re probably right. Theoretically, it is possible. However, modern soils are so nutrient-depleted that many vegetables aren’t as nutrient-rich as they ought to be. In practice, it’s also very difficult for modern humans leading modern lives to always eat only grass-fed, pasture-raised meat and organically grown produce. Especially during pregnancy, when nutrition is so important, prenatal vitamins can help make up for this. While it isn’t ideal, getting nutrients from a pill is better than not getting them at all. If you plan to take a prenatal find a clean brand that isn’t loaded down with artificial dyes and additives, and be careful to choose a brand that contains “folate” rather than “folic acid.” Folic acid is an artificial chemical that can be converted to folate, but this is less efficient than getting folate from food itself. Whatever supplement you take, make sure to take it as an addition to a nutrient-dense diet, not a replacement for one. 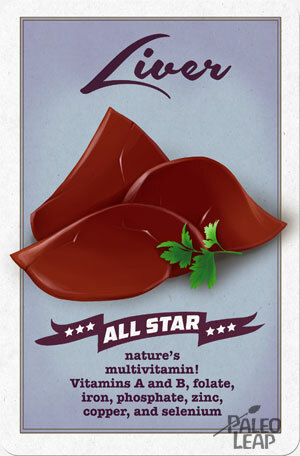 If you’re nervous about taking a commercially made pill but want to get some supplemental vitamins, certain whole foods can also be taken “medicinally.” Liver can be made into pills and then frozen, allowing you to get the health benefits without actually including liver in your daily diet. If you have a severe aversion to liver, you can even buy gelatin capsules at vitamin stores and freeze the liver in those to prevent any taste or smell when you take the pill. Cod liver oil is another natural food commonly recommended as a dietary supplement. It’s high in EPA, DHA, Vitamin A, and Vitamin D, as well as healthy fats. These options are great for women who aren’t comfortable taking a supplement, or who don’t have access to a high-quality brand. 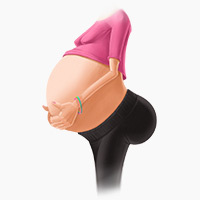 When many people think of pregnant women and food, the first thing that comes to their mind is actually a series of restrictions: don’t eat sushi, don’t eat fish, don’t eat soft cheese, don’t drink alcohol…the list of foods is long and usually accompanied by dire warnings about incurable birth defects. More often than not, this is served up with a healthy dose of judgment on the mother: anyone who even thinks about a cup of coffee is clearly a monster who doesn’t care about her baby. As pregnant women often find out, many people aren’t afraid to pass this kind of judgment even on total strangers in public, as though they really cared about the opinion of a random passer-by in Starbucks. The shaming and guilt-trips are never necessary. Some of the recommendations for food to avoid, on the other hand, are legitimately useful. Excess alcohol and caffeine, for example, are dangerous because they can cross the placenta into the baby’s bloodstream. Reducing your toxin exposure is also always a good idea, especially because pregnancy is very hard on the immune system – adding more immune challenges in the form of lectins and gluten is just pouring gasoline on the fire. On the other hand, some of the commonly repeated restrictions are pointless, or even harmful. As discussed above, the advice to restrict fish intake is based on misguided warnings about mercury content that ignore the protective effects of the selenium found in the same fish. It isn’t dangerous at all for pregnant women to eat as much fish as they like. Even the raw fish used in sushi has been previously flash-frozen, which destroys any parasites in the meat just as well as cooking does, so there isn’t a higher risk of getting sick from properly handled raw fish than from any other type of food. Avoiding fish can deprive you of several essential nutrients, so cutting it out can actually be harmful. The warnings about alcohol and caffeine are also often taken to unnecessary extremes. Binge drinking and extreme caffeine ingestion are seriously harmful to anyone (pregnant or not), but that doesn’t mean that your baby will have two heads because you looked sideways at a glass of wine. For example, 200 milligrams is a commonly cited “safe upper limit” for caffeine during pregnancy, but this still allows for two 8-ounce cups of coffee, or around 4 8-ounce cups of tea per day. if you enjoy these drinks, there’s no evidence that you need to completely eliminate them from your diet. Alcohol is even more stigmatized during pregnancy, but the medical panic over pregnant women drinking is driven at least as much by culture as by science. America has a uniquely uncomfortable cultural relationship to alcohol; this, rather than actual scientific evidence, probably accounts for much of the moral crusading over pregnancy and alcohol. Many European countries take a much more moderate approach, recognizing that a reasonable degree of caution on the mother’s part is perfectly sufficient. Fetal Alcohol Syndrome (FAS) is also strongly associated with poor nutritional status of the mother, so a woman following a nourishing Paleo diet would not be at such a high risk. Of course, alcohol is better enjoyed as an occasional indulgence for everyone, not just for pregnant women, and gluten-containing drinks like beer should be strictly avoided, but the occasional glass of wine isn’t any less acceptable during pregnancy than at any other time. It’s easy to say, “get enough choline.” It’s easy to read and nod along with. It’s much more difficult to actually do when you can’t stand the smell or taste of eggs, and all you want to eat is chocolate fudge brownies. Cravings for junk food can happen to anyone, but many people find that pregnancy kicks the intensity up to a whole new level. On top of this, a lot of people will actually encourage you to go wild during pregnancy, the one time when it’s culturally normal and acceptable for a woman to gain weight. It is normal and healthy to gain weight during pregnancy, even on a Paleo diet, but this should be because you’re eating a caloric surplus from clean, whole foods, not because you’re giving yourself carte blanche to have ice cream cake for all three meals every day. For many women, a Paleo diet seems to help make cravings more manageable – possibly because your body is getting all the nutrients it needs, so it isn’t constantly driving you to eat more in hopes of getting some calcium or fat from a bowl of ice cream. Possibly, a Paleo diet simply reduces your taste for processed junk foods. Whatever the reason, cravings are often significantly reduced just by eating Paleo, but some women still experience them. One way to handle cravings is by postponing them: if you can wait a few minutes for the immediacy to pass, you can often defeat the urge altogether. Simply avoiding these foods at the grocery store can also help – if you have to actually leave the house to get something, you’re much less likely to follow through on the urge to eat it. Also, make sure you do have plenty of convenient and quick Paleo options in your house at all times: try slow-cooking a large cut of meat and freezing the leftovers in individual containers. That way, a healthy snack is never further away than a quick zap in the microwave, so you won’t need to turn to cookies and crackers. A few hard-boiled eggs in the refrigerator can serve the same purpose. Buying pre-cut vegetables might make you feel lazy, but it’s by far better than not buying vegetables at all. If you do give in to cravings, the best thing to do in the aftermath is move on. Don’t beat yourself up over it or guilt-trip yourself for “hurting your baby.” Realistically, one bad decision (or even two, or three, or a weekend full of them) won’t undo the cumulative effect of all your other hard work. Cravings are one side of the food problems coin, but some women also have intense food aversions, when previously-delicious foods suddenly become vomit-inducing. Food aversions can ruin the most carefully laid plans to eat leafy green vegetables, bone marrow, or eggs – or anything at all. Morning sickness isn’t specific to any particular food, but it’s certainly miserable and can easily make you feel too sick to keep anything down. Try bone broth for a healthy dose of nutrients that’s easy on the stomach, or mixing coconut oil into whatever you can eat for a healthy dose of fat and calories. For added nutrition, you could make a mild soup with some bone broth and rice, and maybe a few well-cooked vegetables like carrots or broccoli, or some rice pudding with coconut milk. Ginger tea can often help with nausea, especially if it’s more of an annoyance than a crippling problem. If your stomach is so upset that you’re vomiting regularly, you’ll also want to rehydrate and replenish your supply of electrolytes. Mixing some salt and lemon juice into a bottle of water will make a Paleo version of Gatorade that resupplies your body with sodium and potassium, two crucial minerals that are lost through sweating or vomiting. Since so many people embark on a Paleo diet as a weight loss strategy, it’s reasonable to be curious about how pregnancy will affect your ultimate weight-loss goals. Obviously, in the short term you’ll gain weight: 6-9 pounds of baby at the very least, with most women also gaining between 5 and 30 pounds of their own. Eating a clean Paleo diet will prevent you from gaining an unreasonable amount of weight, but you will probably gain some – it’s metabolically healthy and perfectly normal. This makes perfect evolutionary sense if you think of women before the advent of the modern food system, who needed to top up their fat stores during pregnancy because food scarcity would be twice as dangerous as usual. For a woman who just finished the struggle to lose all that weight, the thought of putting it back on again can be terrifying. The urge to push yourself through intense workouts even when you don’t feel like it, to restrict calories despite being hungry, and to focus on losing the “baby weight” from the moment you give birth can be very strong – and modern culture certainly doesn’t do anything to diminish it. Unfortunately, a preoccupation with weight loss during pregnancy can lead to severe nutritional deficiencies if you don’t get enough to eat, and overexercising during pregnancy is both exhausting and potentially dangerous. Charging out of the delivery room onto the treadmill is also not ideal. Adjusting to life with a newborn in the house is difficult and stressful enough; most new mothers don’t get anything like enough sleep every night and many have trouble finding time to eat, much less work out. Pushing your body back into intense athletic training before you’re ready for it could result in serious injuries, as well as keeping your stress levels high (which in turn raises levels of cortisol, a hormone tied to weight gain). Caloric restriction during breastfeeding can also deprive your body of nutrients it needs to rebuild itself after the challenge of pregnancy. Just like during pregnancy, your body will rob itself to feed the baby if your dietary intake isn’t high enough – not only of nutrients like calcium and Vitamin D, but also of muscle mass and lean tissue. This is both unhealthy and counterproductive to resuming your workouts post-partum. Ultimately, a pregnant woman’s first dietary priority should be nutrition – and eating a nutritious, whole-foods Paleo diet will not only prevent extreme weight gain during pregnancy but also help you lose the weight safely and healthily after the baby is born. That said, exercise can be a wonderful part of a healthy pregnancy, as long as you make sure to adjust your workouts accordingly. Mild exercise can help improve circulation, reduce the risk of pregnancy-related diseases like gestational diabetes, and keep your body in peak physical condition in preparation for the physical demands of labor and caring for a young child. The key is not to overdo it. Excessive exercise is a huge stress on a body already struggling to handle a growing fetus – you won’t be setting any records on the squat rack, so don’t push yourself to dangerous extremes trying. Light bodyweight exercises, gentle walks, and stress-reducing physical activities like yoga or deep stretching are much healthier choices for a pregnant woman than very intense weight training or HIIT. Swimming is another fantastic option, especially since it doesn’t put any stress on the joints. Many pools even offer mommy/baby swim classes, so you can keep up your routine after the baby is born. Help! My Wife is Pregnant! For obvious reasons, most pregnancy advice is addressed to women, not their partners. In many ways, though, this does men a disservice – they might not be the one physically pregnant, but that doesn’t mean that their lives continue normally up until the baby is born. A partner’s pregnancy can be an exciting adventure, but that doesn’t mean it’s always (or ever) easy. This is doubly challenging if only one partner is Paleo. Nutritional disagreements can be a source of tension at the best of times, and bringing a child into the picture can bring the argument to the forefront of your everyday life surprisingly strongly. A Paleo woman with a partner who doesn’t particularly care about nutrition can feel unsupported as she struggles to choose beef and coconut oil over Oreo cheesecake and Rice Krispies. On the other hand, a Paleo man with a wife or girlfriend who doesn’t share his nutritional commitment can feel frustrated or powerless to help his future children. This is a very difficult situation: you want to make sure your child gets the best nutrition possible, but your partner is also an adult with the right to make her own food choices. There are no easy answers here: this is a problem that goes back to some of our most divisive cultural debates about feminism, personal autonomy, and gender relations. Trying to force or trick a non-Paleo partner into a Paleo diet will only backfire (imagine how you would react if she hid all your meat and vegetables and replaced them with “healthy” whole-wheat bread and lentils). Persuasion is always worth a shot, but ultimately you’ll need to find a compromise you can both live with, and it might not involve a total Paleo conversion. For example, she might be open to adding more Paleo-style foods like bone broth or organ meats even if she isn’t willing to cut out foods like bread and pasta. This kind of Paleo-supplemented diet isn’t perfect, but it’s a lot better than the standard American diet by itself. Pre-pregnancy communication can mitigate a lot of these pitfalls – ideally, both partners would sit down beforehand for an honest discussion (or a series of discussions) about pregnancy nutrition and how both of you can work together to get the best possible head start for the baby. In the real world, pregnancy often comes as a surprise, so it isn’t always possible to have this discussion beforehand. But late is better than never: the conflict won’t go away after the baby is born, so the earlier you can settle on a plan that works for both of you, the better. Just like most other life situations, pregnancy shouldn’t require an overhaul of an already solid Paleo diet. It might be a challenge to keep eating enough nutrients and calories if you’re struggling with morning sickness, weird food aversions, or cravings for junk food, but the basic nutritional guidelines for a Paleo pregnancy are very similar to the recommendations for any other time of life. A little planning ahead and a lot of talking it over with your partner can help make for a healthy, peaceful pregnancy and a new baby with a great nutritional head start.